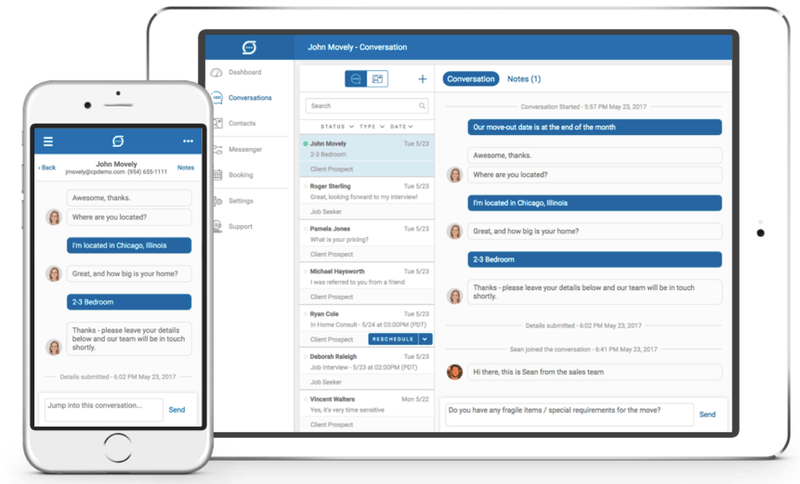 Response Path is the smartest messaging platform in the industry. Keep your business open 24/7 with Response Path. Provide a concierge experience while engaging with customers, sharing positive reviews, your hours and location in the messaging window. Ask and answer qualifying questions, schedule appointments and much more. You have a team of dedicated experts monitoring your performance, optimizing your lead capture assistants, and matching your messaging system to your brand to help you generate more leads and accelerate sales. 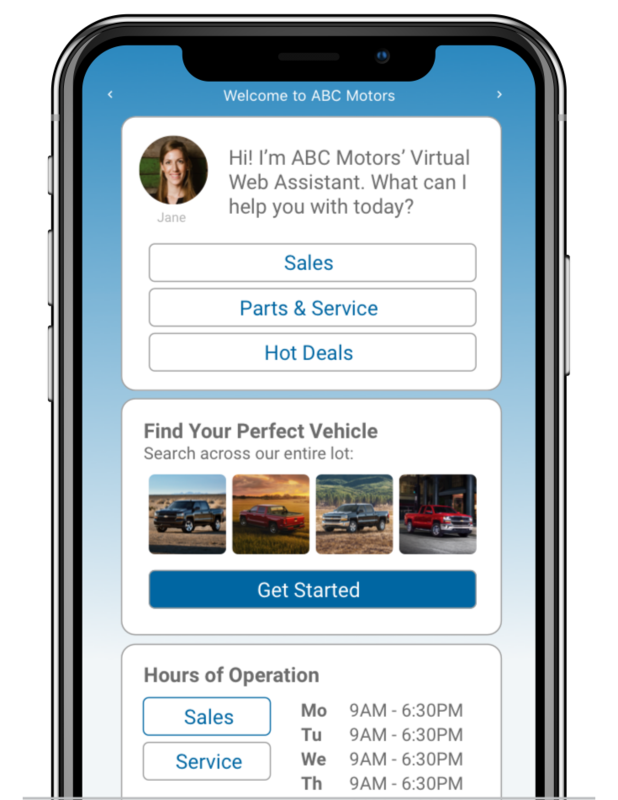 Our AI Sales Assistant proactively engages your prospects, asks qualifying questions, and captures leads 24/7. The right member of your team is notified for fast follow up. 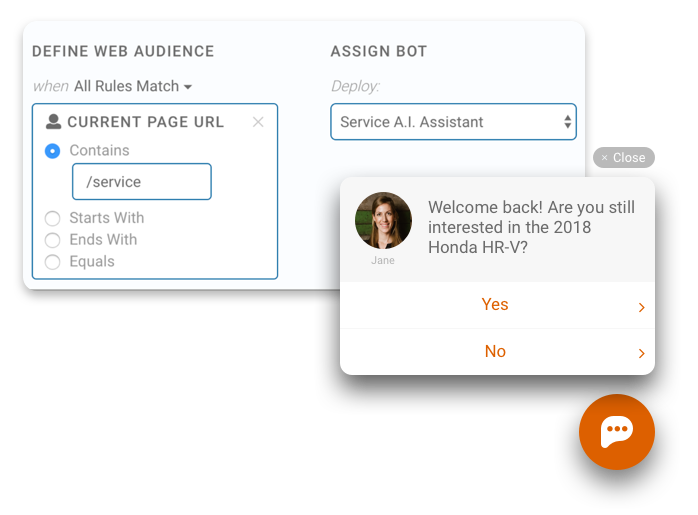 Leads are automatically sent to your CRM and your Assistant’s script is continuously optimized by our team. Invite service questions on your website, Facebook page, and via text message. Send prospects to your service scheduler and capture questions. Notify the right person on your team via text and email. Prospects can text your business’s unique SMS number from your website, ad campaigns, Google listings, and even print materials. 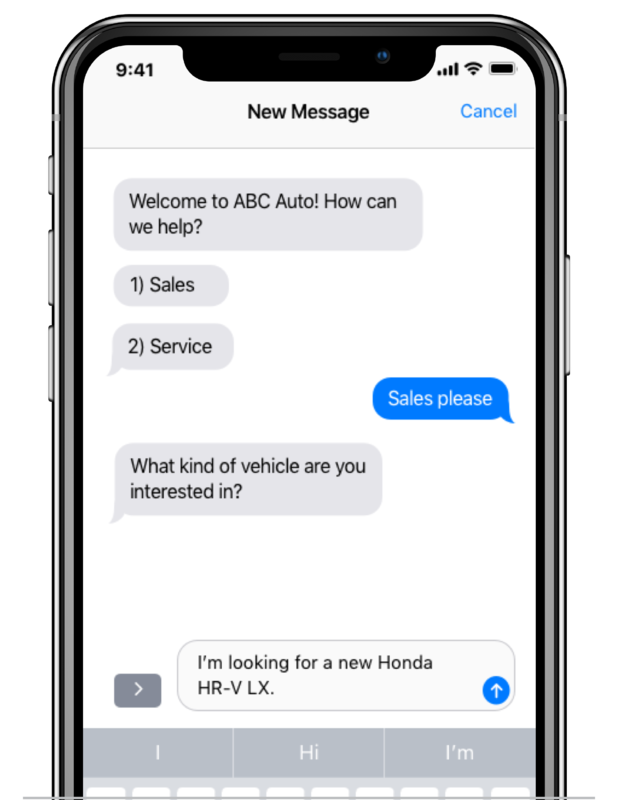 Each inbound text is engaged by an Assistant and you can even initiate texts to prospects and customers from any device. Intelligently route leads to the right person on your team based on inquiry type for fast follow-up. Team members can jump into any conversation and respond to hot opportunities from any device. Finally, a unified inbox for all of your messaging channels. Open up the largest social channel with our Facebook Messenger™ integration. Our Facebook Assistant responds to every message from your Facebook Page. 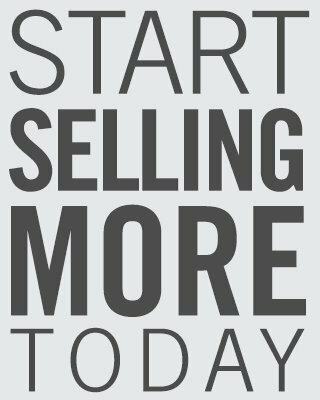 Expand your reach by publishing your pre-owned inventory to Facebook Marketplace and watch the leads roll in. 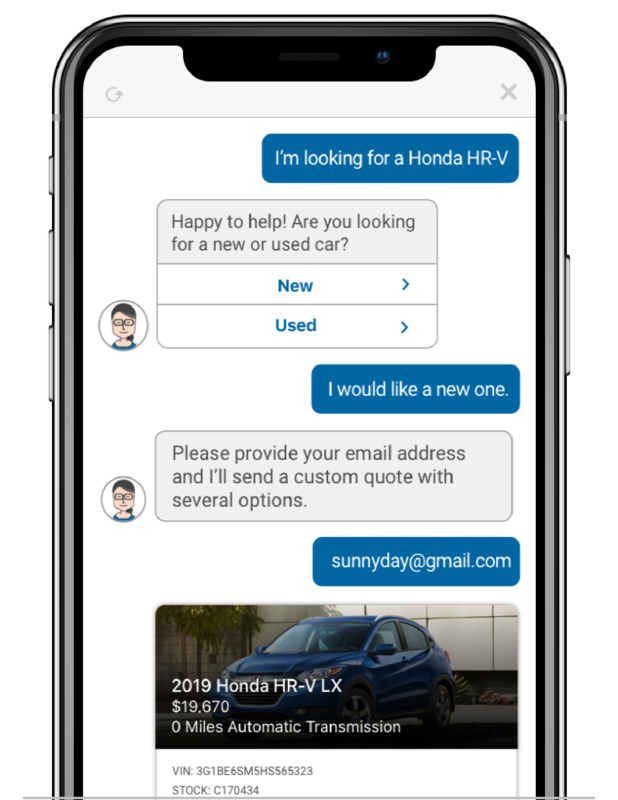 Automotive dealerships can send quick, customizable and professional multi-vehicle quotes to all leads captured through Response Path. 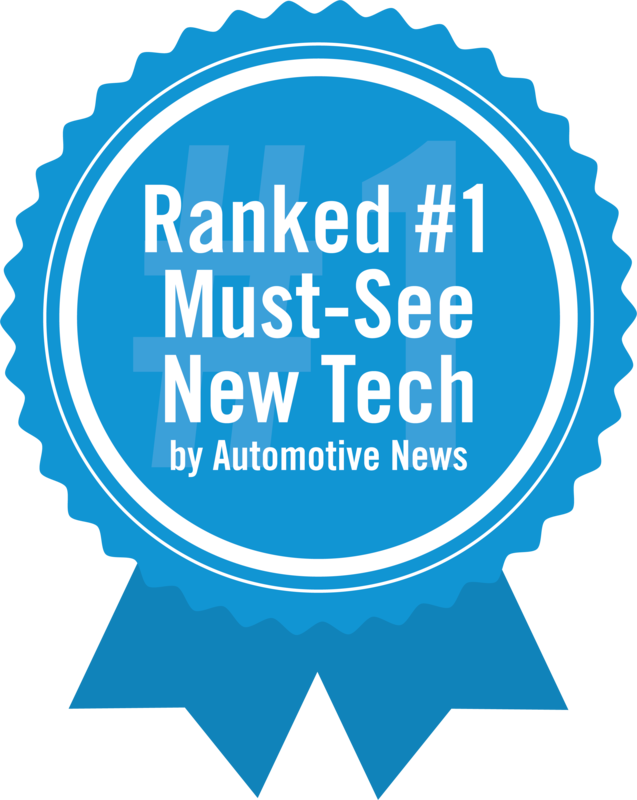 Each quote includes a custom microsite with alternative vehicle recommendations. 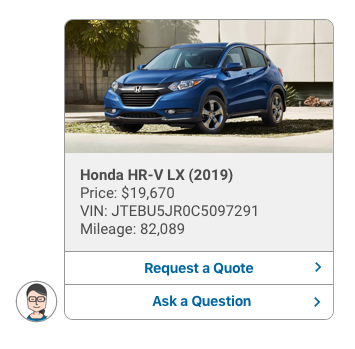 Automobile dealerships can highlight vehicles they need to sell quickly and let car buyers calculate their vehicle trade-in value through Kelley Blue Book all within the messaging window. 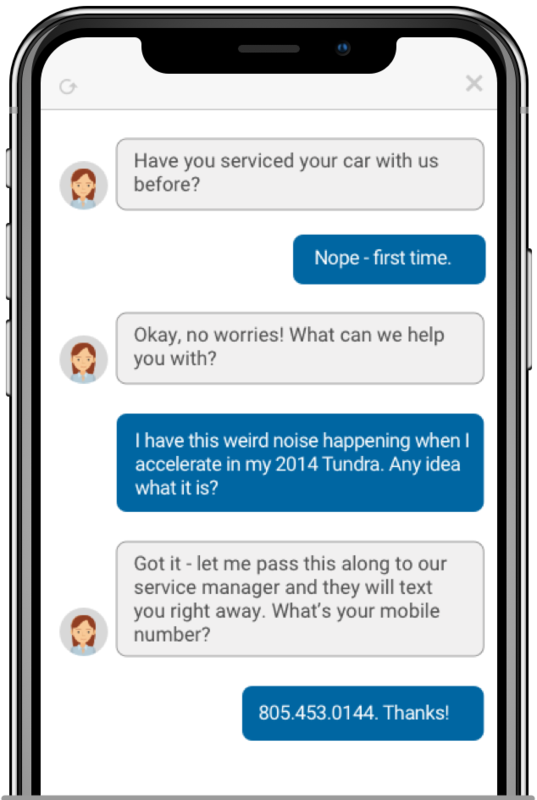 Your team can manage the conversation and drag and drop specific inventory into a conversation to boost lead conversions. The journey does not end after the lead is captured. Nurture opportunities for up to 180 days with smart email follow-ups. Reactivate an average of 12% of cold leads within 180 days. Learn more. Dynamic URL and behavioral tracking matches prospects with the right Assistant based on when they are most likely to engage. Provide a personalized message to returning visitors based on their previous activity to accelerate the sales process. 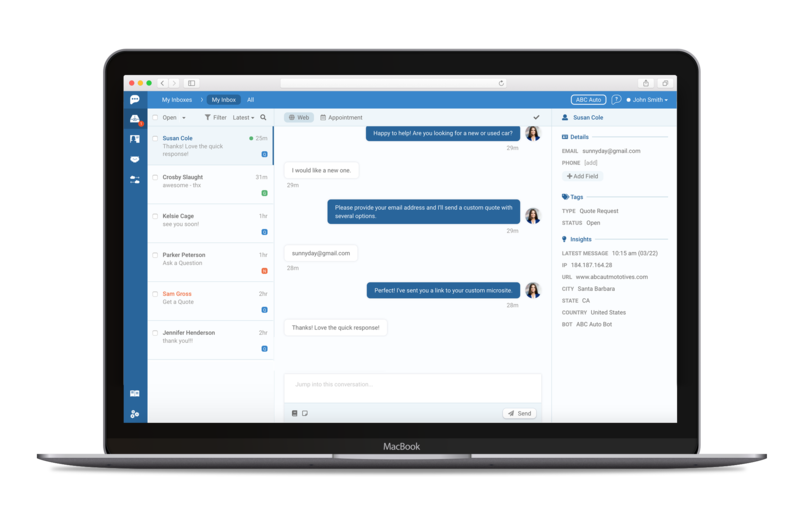 Your messaging command center keeps all your messages in one place and makes it easy to manage conversations at scale and across multiple team members. 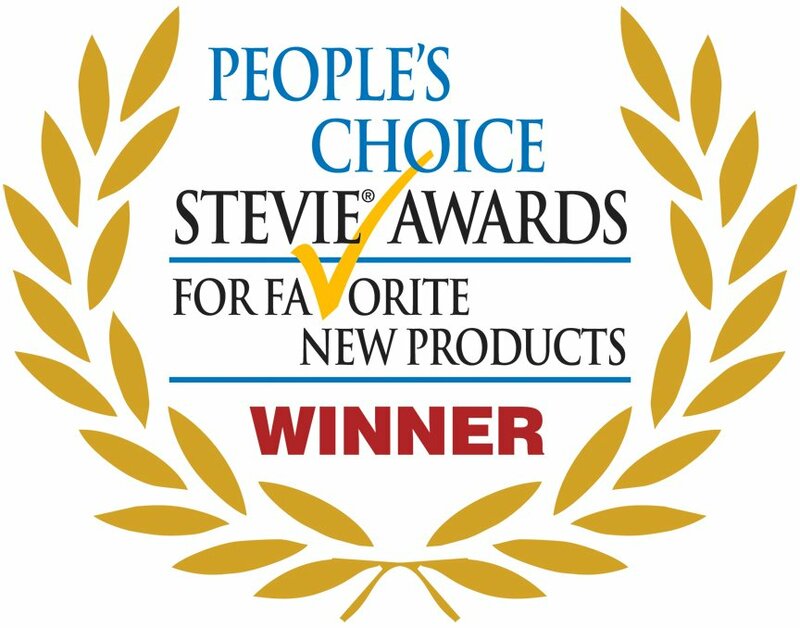 Our software is simple and easy to use. Get your free chat audit and see how Response Path can streamline and improve your business.